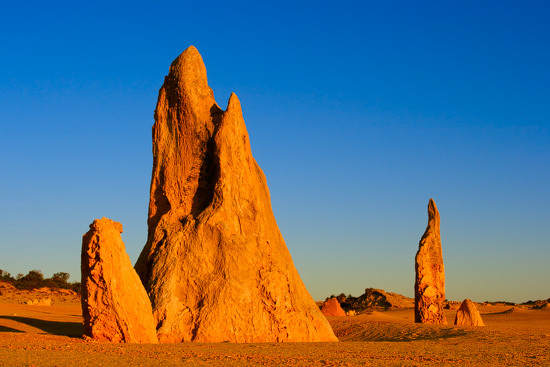 Officially park opens from 9am till 5pm and you should buy a daily ticket at the entrance, but there are no gates or fences that would stop you from visiting this place on sunrise or during the night. 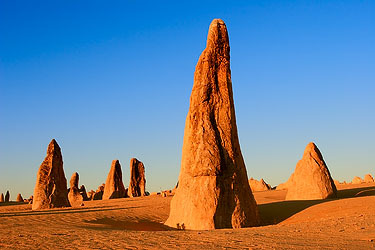 Centre of the park, The Pinnacles Desert, is the main attraction of this place – each year, nearly 160000 people visit this park to see thousands of limestone pillars rise from the sand dunes. 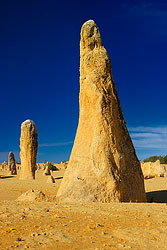 These pillars vary in shapes, sizes, textures and colour – some of them are up to 4 meters high, some have sharp edges and some are flat and low. 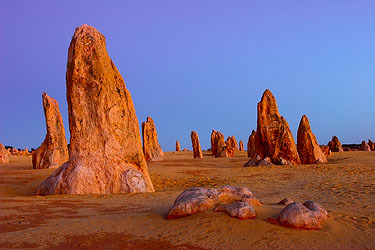 Wind, rain, vegetation and time – that’s what created these formations over thousands of years, it is believed that pinnacles were covered by shifting sand dunes several times before, and the last time when sand dunes have retreated and exposed pinnacles was just a few hundreds years ago. 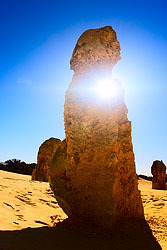 Visiting pinnacles during the dusk and downs is a must do exercise – low sun lits these formations with golden or red light and allows them to cast shadows of all forms and sizes over yellow sand dunes. 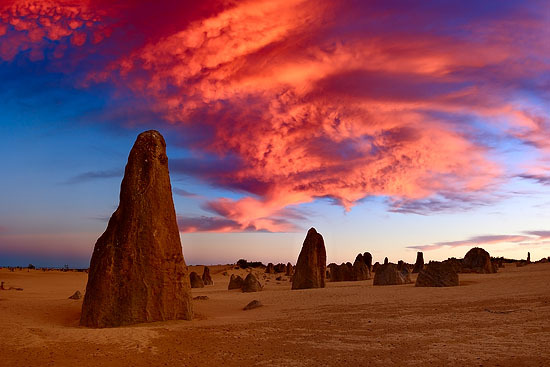 For serious and adventures people I’d recommend being there during the night as well – distance from all large cities uncovers billions of stars and creates a surreal picture of pinnacles lit by moon under a sky full of stars. 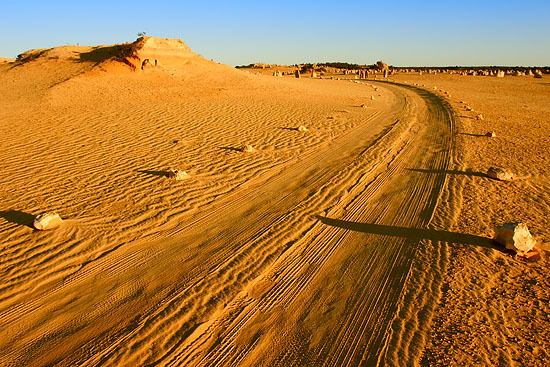 You can experience Pinnacle Desert by walking or driving. 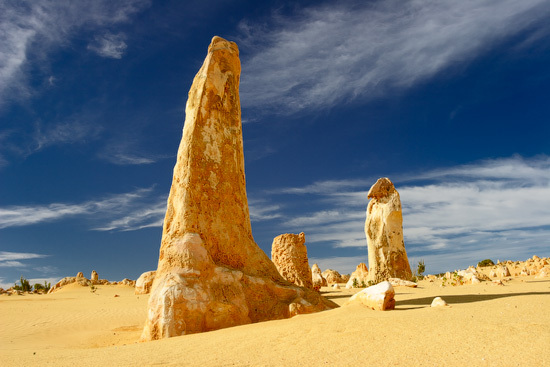 There is a 4 kilometre Pinnacles Drive – unsealed good quality road with spots to leave your car, and a walking track – you can leave your car on the parking next to the park entrance. We drove through the desert several times by that circuit road and been to almost every corner of the park. 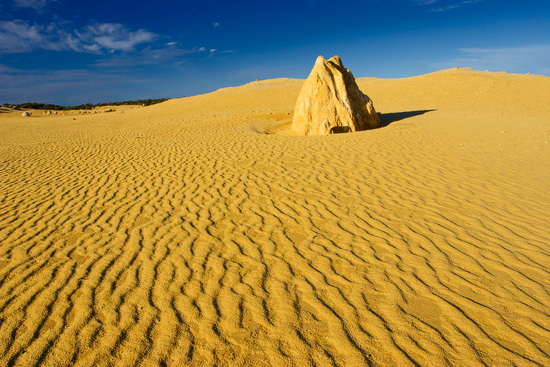 In addition to Pinnacles, Cervantes can offer you a Thirsty Point lookout with its view to white sand beaches and perfect waters of Indian Ocean, and stomatolites – ancient bacteria colonies in the Thetis lake.